We’d love your help. 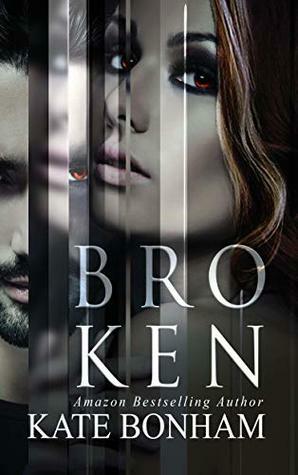 Let us know what’s wrong with this preview of Broken by Kate Bonham. To ask other readers questions about Broken, please sign up. Kate grew up in Western Sydney, Australia, hoping to one day have a pet dragon and castle to roam around in. Then the Khaleesi stole her life and she was forced to reinvent herself. It was around the age of 15 when she really thought she could make it as a writer, and after course after course on different writing styles, she finally gulped down her fear and pursued independent publishing. When sh Kate grew up in Western Sydney, Australia, hoping to one day have a pet dragon and castle to roam around in. Then the Khaleesi stole her life and she was forced to reinvent herself. When she's not writing, she's spending time with her boyfriend and their zoo of pets that include snakes, spiders, lizards, gecko, an axolotl and a bird. My writing genre is paranormal romance.